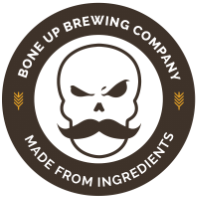 Stats: Love Doctor - Bone Up Brewing Co.
Best Occasion to Drink: Jodi and Josh's wedding day! 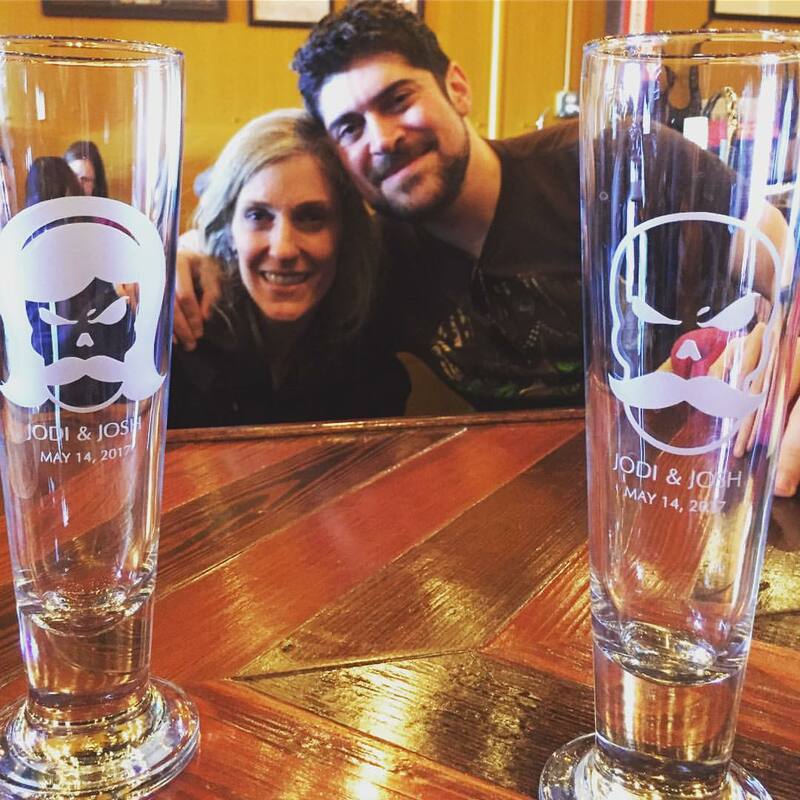 Brewers' Notes: A couple Friends Of The Brewery (Jodi and Josh) somewhat recently announced to us that they'd be getting married, and we announced right back that we'd be making special beers for their wedding! The two beers are made to be blended at serving (they're made to go together, get it?) but you can drink 'em on their own too! This beer - The Love Doctor - isn't actually a beer, but rather a blend* of the two (a blonde ale with orange peel and ginger, and a chocolate stout). But in spite of that, The Love Doctor is a being all its own with a subtle sweetness tempered by coffeelike roast, and a melding of orange and chocolate so seamless you couldn't imagine it any other way. * We prefer a blend of roughly 60% Jodi and 40% Josh. If you pour Josh into Jodi in the glass, it gives you this crazy, bright white head on the beer! We even done up special his 'n hers Horatio and Henrietta glassware for the occasion!